C.A. Short Company has put together the following list of tips and resources you can use to show your appreciation, reduce employee risk, and boost engagement. It’s time to start your engines! Recognizing and celebrating your truck drivers – and for that matter, every employee — should be a year-round effort. If you’re waiting for a particular week or day of the year to show your appreciation, you need to reconsider your recognition efforts. However, Truck Driver Appreciation Week does provide an excellent opportunity to jumpstart your efforts and go above and beyond for those who give your company their all. The following three tips are designed specifically with them in mind. As simple as it is powerful, sincerely expressing your gratitude is one of the most effective ways you can connect with, inspire, and thank your employees for their hard work and dedication. If possible, hand write thank you notes for your drivers. Be certain to personalize each message, and cite specific reasons why you appreciate each employee. Your drivers spend countless hours on the road, and that’s valuable time they could have spent with their partners, children, and friends. Help them make the most of their precious time by bringing their families into the mix! Give your employees rewards they can share with their loved ones. Some great ideas include tickets to family-friendly activities – such as sporting events, amusement parks, and the movies – or even a gift certificate to a local restaurant. Host a family fun night! Invite your employees and their families to take part in a night filled with festivities, all compliments of their employer. You can set up games and award prizes, run a raffle, provide local entertainment, offer photo opportunities, and serve great food. Send a gift and personalized message to your employee’s family. Keep in mind, loved ones play a very important role in how your employees view their jobs. In addition to thanking their family for the role they play, you should also express how valuable their partner, parent, or even child is to your business. This will help improve your relationship with both the employee and their family. It’s a win-win. 3. Reward your drivers with what they really want! When it comes to making the most significant impact, it’s imperative that you give your employees what they really want. How can you make this a reality? Allow your employees to choose the award of their liking! 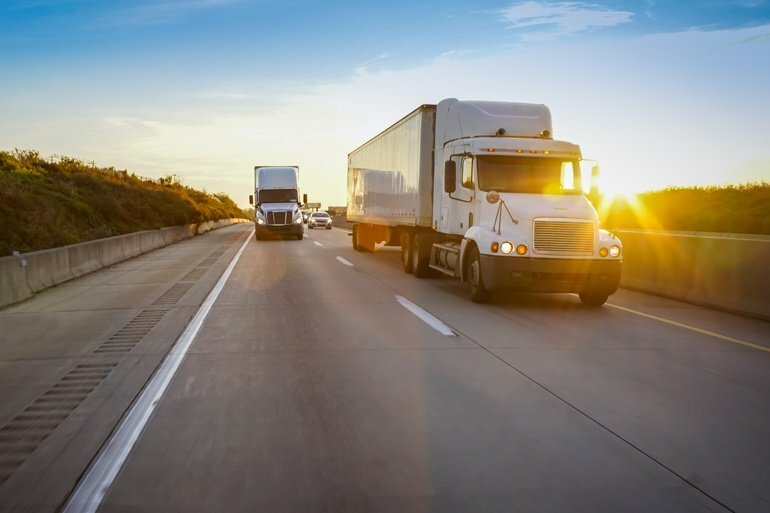 The best way to accomplish this is by utilizing a values-based incentive point system that allows for recognition during both special events – like National Truck Driver Appreciation Week – as well as day-to-day recognition. Employees are rewarded with a predetermined amount of points, which they can then redeem for the award of their choice. If you’re looking for additional resources designed to help your business improve its employee engagement, recognition, and safety efforts, the following transportation-specific resources will serve as a great starting point. Take a closer look at the transportation industry’s greatest challenges and learn how to solve them in our complimentary eBook, Employee Engagement in Transportation: Reduced Turnover, Safer Drivers, and Greater Profits. Discover how your company can limit driver distraction by as much as 70%, reduce turnover by 25%, and much more. Discover how your company can inspire your employees by reading our complimentary white paper, 5 Tips to Increase Driver Engagement. When you craft positive behavior change through positive reinforcement, it’s possible to create an engaged workforce that reduces costs, improves productivity, and boosts profits. In addition to providing day-to-day recognition to your employees, it’s equally important to celebrate significant employee milestones! However, creating an effective Years of Service awards program can be tricky, especially in industries that suffer from such high levels of turnover. That’s why we outlined proven strategies you can use in our article, Creating Transportation Years of Service Awards That Work. For our most comprehensive analysis on how your company can improve metrics across the board, you can view our on-demand webcast Going the Distance: How Employee Engagement Is Transforming the Transportation Industry. It’s filled with actionable information your company can put to work immediately. If you’re looking for even more ways to improve your employee engagement, recognition, and safety efforts, we’d love to speak with you! You can sign up for a complimentary, no-obligation consultation by clicking the button below. And, above all, have a great National Truck Driver Appreciation Week.